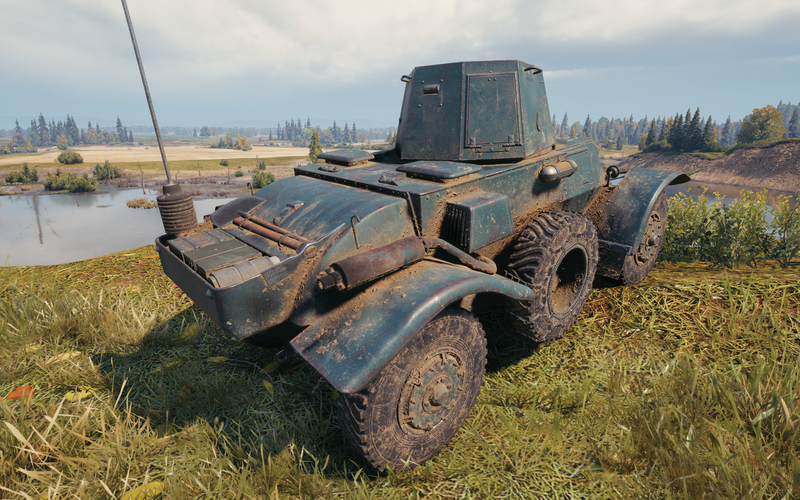 When will this arrive in the game? 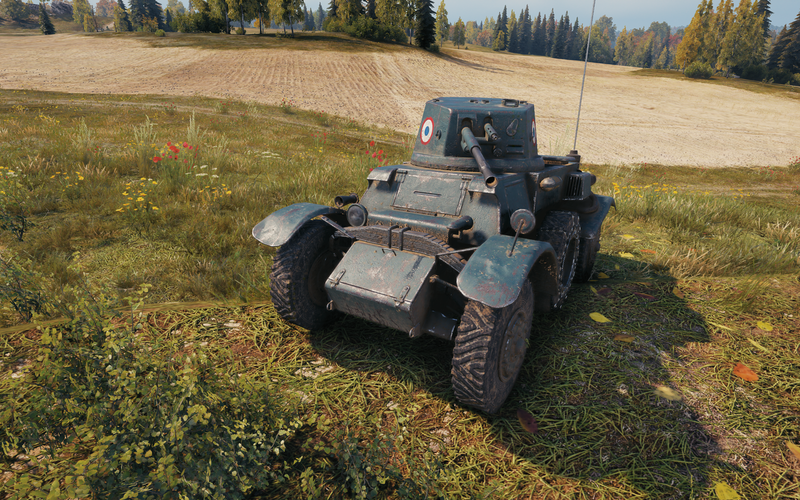 Next year, as a free gift for the release of wheeled vehicles. Wasn’t this supposed to be armed with a 25mm autocannon? 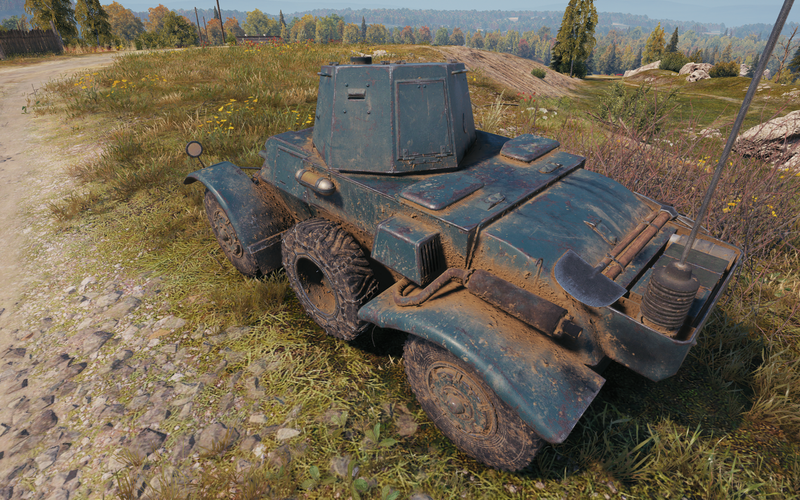 At tier 2 with an autocannon, the wheeled vehicle concept works a lot better than what they’ve pitched for the high tiers. You use that speed to do something productive- flank and punish. The high tiers just don’t have the burst potential to be nearly as threatening. 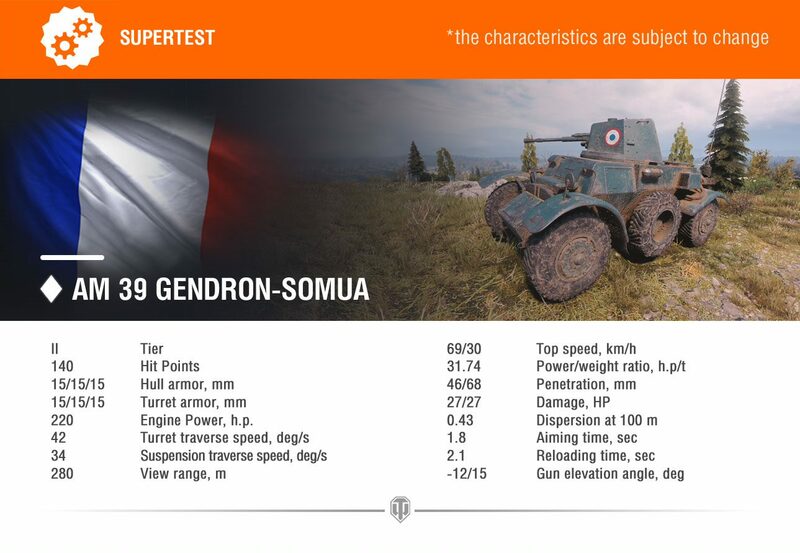 And as an aside, its hilarious that this tier 2 only has slightly less view range than the tier 8 they previewed recently. The L.Tr has absurd view range for its tier. 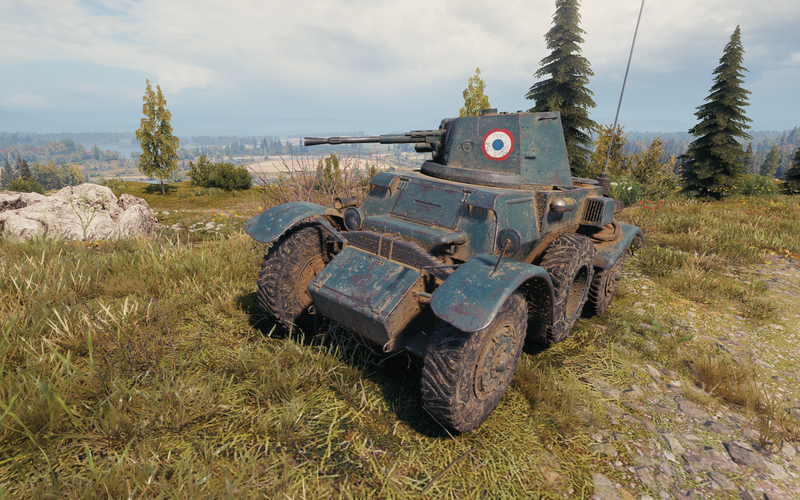 I’m disappointed that the gift armored car isn’t going to be the Panhard 201, the 1939 prototype for what would become the EBR series. 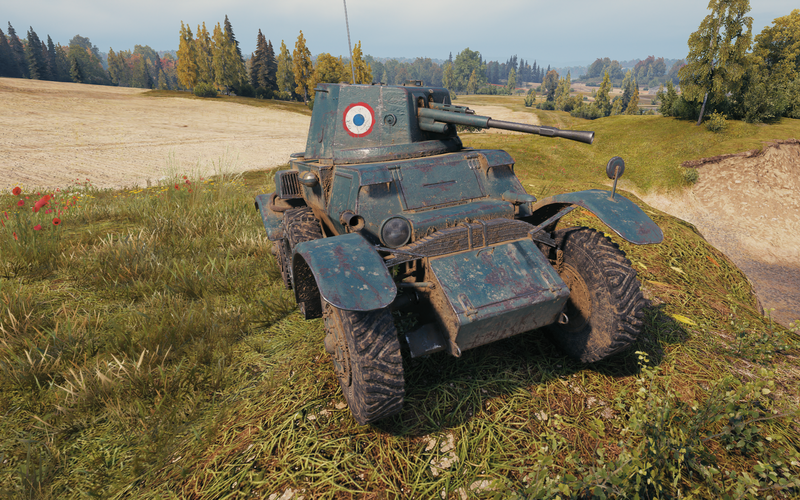 It was much smaller than the EBR but had the same 8-wheel system with all-metal middle wheels that can be raised for driving on paved roads, and it also had the first oscillating turret ever built. The prototype was armed with the same 25mm gun as the AM 39 here, and the production model was supposed to mount the 47mm SA 37. Hey Shinimegami, can you do a proper article on this? I’ll gladly post it on TAP!